In this four-corner region rich with enchanted cultural adventures and history, Koogler Middle School, part of Aztec Municipal School District located in the northwest corner of New Mexico, serves grades sixth through eighth. With a very diverse student body, Koogler has an almost 700-student free-and-reduced lunch population—50 percent of its students. Committed to academic excellence and the incorporation of technology to improve student outcomes, the district’s technology mission states that they will provide innovative solutions in support of learning and teaching—and they have significantly improved technology resources at Koogler this past year. Aztec is currently using ClassLink LaunchPad with 400 thin client computers to support this mission at Koogler Middle School with plans to expand district wide in the coming years. With LaunchPad all software is located and maintained in one central location so individual classrooms have easy, trouble-free access to all district approved software. 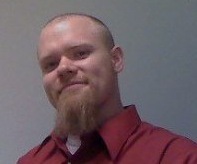 Nathan Holmes is the Technology Director at Aztec. He noted that at his previous job, which had a very similar IT environment, he had a staff of 36 compared to his current staff of four. “We need to make it easy for teachers to use technology and that is where LaunchPad excels,” says Holmes. “We obviously have a very limited technology budget. The addition of ClassLink LaunchPad, which supports less expensive thin client technology, allows us to greatly expand our technology in the classrooms at Koogler while at the same time reducing the amount of staff time needed for maintenance. But even more importantly, LaunchPad paves the way for many new student-centered learning opportunities in the classrooms at Koogler,” he says.